One of the aspects of a Montessori Classroom which people notice is the noise, or, rather, the lack thereof. It’s pretty quiet. A room full of this many adults would be louder. It’s not silent, though, and no one is making the children be quiet. They’re quiet because they’re working, concentrating, and content. So, what sounds do we hear? A snippet of a song. Scrubbing. 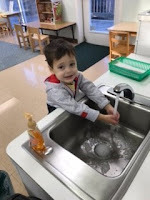 There’s so much washing that happens in a Montessori classroom, and vigorous scrubbing is loud, at least for Montessori standards. If a classroom feels “busy” for no apparent reason, often some gross motor work is happening. Conversations. Various discussions, affirmations, observations are shared, primarily between children, though also between adult and child, and also as monologue. So much is happening. The air is electric with learning and joy. Sometimes things fall. Occasionally there’s a small disagreement. But these are anomalies. When things fall, it is not because carelessness is the norm. It is because, really and truly, sometimes things fall. We’ve all experienced this. Children walking around a classroom are, so much of the time, more aware and more careful than we are as adults, but we have the benefit of our bodies being more practiced than theirs are. Have you ever seen a child watch with terror as their snack slides off their plate, as they are carefully, precisely, inching forward, and yet there’s nothing they can do? We never carry a plate that carefully, yet only rarely drop our food. We’re not more careful, just more practiced. When the occasional disagreement takes place, it is not because children are selfish and don’t look out for others. Children are incredibly empathetic, and look out for one another. They are upset when one of their classmates is tearful, regardless of the reason, be it a Monday morning or turkey instead of a cheese sandwich or missing a parent. A disagreement happens because, though small, these are full humans. They have their own opinions and thoughts and are free to express them. Sometimes support is required, such as by an older classmate or adult, “It sounds like you two are having a difficult time deciding who is going to eat snack/paint at the easel/use the bathroom first. When you agree, let me know!” When the children agree, both sides are contented. Adults might, on the surface, not have the same struggle. We’re more practiced at the social norms of, “no, please, after you.” but, do we really mean it? Children might express their frustration more readily, but the agreement is genuine. The noise that happens is learning and life. It is control and synapses forming. It is joy and work, really really hard, important, valuable, life-long work. It is hushed and vigorous. It is good. It is that time of the year. Colds, coughs, runny noses and the dreaded flu are upon us all. Parents frequently ask what can be done to cut down on the spread of germs from child to child in school and at home. Did you know, according to the Center for Disease Control (CDC), hand washing is the single most effective way to prevent the spread of disease? The CDC calls it a, “do-it-yourself vaccine.” Teaching children appropriate hand hygiene habits can result in the removal of germs, preventing the spread of germs, decrease of infections, absenteeism, and associated costs. 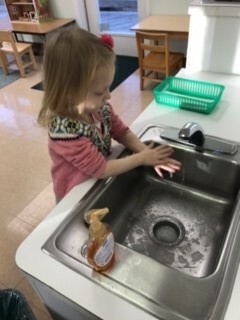 Preschools are required to teach, model and enforce proper handwashing techniques at all times of the year. Teaching from the earliest age with the goal of hand washing being as routine as getting dressed in the morning is a win for everyone. Many experts agree that for hand hygiene promotion to be effective in changing behaviors and cutting down on the spread of illness, we need to create a family-centered approach. Handwashing steps utilized in schools can be reinforced at home. With parents and teachers on the same page and having consistent expectations, proper hand washing will become the norm. Working on this at home and at school will most definitely cut down on the spread of illness and give children a healthy life long tool. Great New Research on Montessori Outcomes! The newest research in education has shown that Montessori early childhood education has significant advantages in several areas of learning. 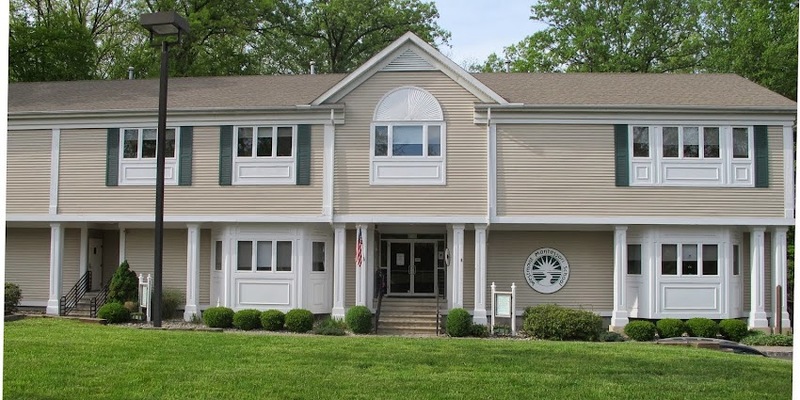 The study looked at seven areas; Academic Ability, Theory of Mind, Social Problem Solving, Executive Function, Mastery Orientation, School Enjoyment, and Creativity. For those of us who have seen the benefits of Montessori education first-hand, the results are not surprising. Take a look at the results yourself, published here in Frontiers in Psychology, and see if you agree!